UPDATE: When first presented with the direction and concepts of the new 380 economic development package, I applauded the efforts to focus some light on the businesses that were here and not just recruiting big business to Austin. I wrote this blog, City of Austin Redesigns 380 Incentive Policy. And It’s Good News! in support of these concepts. It appears I spoke too soon. In the article I stated that the devil is in the details, details not outlined at the time. Now I find many devils in the details and I can not support this policy. I do not believe this is to the benefit of small local business at all. In fact it may very well be yet another harming policy. Frankly, it’s using small business to solve a community issue in the chronically unemployed. I question this initiative since our unemployment rate is now 2.8%. Whats left are the people who are essentially unemployable. To call on the small, local business community to take on this huge risk, compensate them with $1,000-$3,000 a year and call it a benefit for local business is wrong. This policy is not for the benefit of local business at all. I believe the local business community is being used as a sales point for a policy that holds no benefit for them. There are multiple devils in those details. In addition, I have not seen the policy section details myself but have heard that many of the small business benefits will be available only to Soul-y Austin businesses initially. No other businesses or business districts need apply. 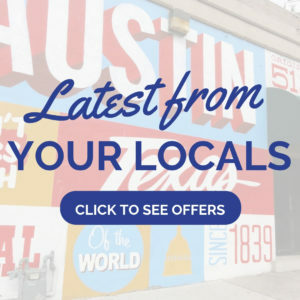 ORIGINAL BLOG-JUNE 8: AIBA has advocated for more than 15 years to turn at least some of our economic development policies to benefit the small, local businesses that are here and not just to attract the next big business to Austin. This policy is the first real sign of that new direction. Our goal has never been to totally cease offering incentive packages for strategically selected companies but to have a balance that helps local business too. Is it perfect? No. Is it all it will ever be? No. But to come from a policy that was 100% focused on recruiting big business to Austin to one that is focused on growing businesses that are here…well it’s impressive. To even find the words ‘local business’ in the policy is a major departure from the existing global business recruitment practices. You still have time to respond and comment on this policy. You can review the policy here: http://www.austintexas.gov/investinaustin. Go to http://www.austintexas.gov/online-form/proposed-new-economic-development-policy to leave your comments. If you are so moved, email your City Council member. Find your council member’s email here: http://www.austintexas.gov/government. The original 380 Policy was totally based on return for investment, hence the big numbers from big business. An incentivized business had to show substantial gain to the tax base above and beyond the incentive. The large incentives are still based on this. But now a new measurement based on enterprises that support local, creative identity and culture has been included in the policy. This is a major paradigm shift. There are grants that local business could take advantage of for hiring and growing. We’re even talking about adding some relief on permitting and code compliance for small business. There are loans for creative venues and healthy food programs; cultural and heritage business preservation programs and social enterprise programs. The devil is in the details and they’re aren’t many details in the documentation. But this is the framework for a completely new approach. It holds the promise of our city actually supporting the local businesses that built this city and continue to make it thrive. It’s a seat at the table.